Many of the services we use in day to day life depend on a “platform” – the organizing technology that allows applications to work. Of course your smartphone has an operating system, such as iOS or Android, which serves as the platform for your mobile apps. But many other platforms are important to the modern economy, too, although you may not realize it. The network through which you are reading this has many working parts: involving Apache servers, the Linux operating system, MySQL relational database management, and PHP as a scripting language. If all these words seem strange, forget about it. The important point is that these technologies work together as a platform, and on that platform information flows. All around you, when information technologies work well, you can bet that platforms are in the background making everything possible. Not surprisingly, many companies would like to be in charge of a successful technology platform. Think Microsoft. Winners and losers came and went in the computer industry for decades, but Microsoft kept winning. (That is changing, of course, as the action moves to other platforms.) 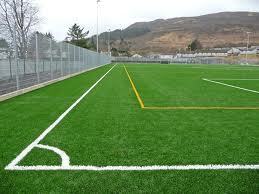 In this way, a technology platform is like a playing field. A company running a platform may not care much about which team wins, just so long as the game is played on its turf. So when Zynga took off as a popular social gaming company (Farmville, etc. ), Facebook – Zynga’s platform – prospered. And, as times have changed, Zynga has given way to other raging fashions. But Facebook’s shareholders are still happy, just so long as there is plenty of action played on their field. No wonder so many companies say that their goal is to become a platform. What is the key to becoming a successful platform? I know of two answers to this question, and the answer you go with says a lot about how you see the world. One answer is seen by looking through the lens of coordination. The other comes into focus through the lens of evolution. Both of these lenses make sense of platforms, but they do so in very different ways. First let’s look through the coordination lens. From this perspective, we see that the best platforms are well organized; they are control platforms. This view did a good job explaining the platforms of the mid-20th century. Back then, the world’s most important information technology platforms were the landline telephone networks. Those systems were organized to be fail-safe, and to permit every person on a system to communicate with any other person on the system at any time. To do this, a few very large organizations were formed to plan and coordinate each network, such as the Direction Générale des Télécommunications in France, the Bell System in the United States, and the Post Office in Great Britain. 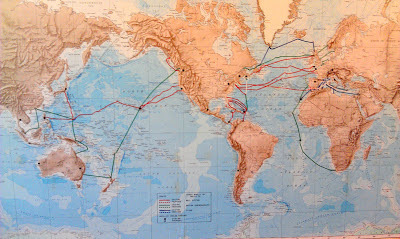 (Check out that map – from my late father’s phone company office back in the 1960s. 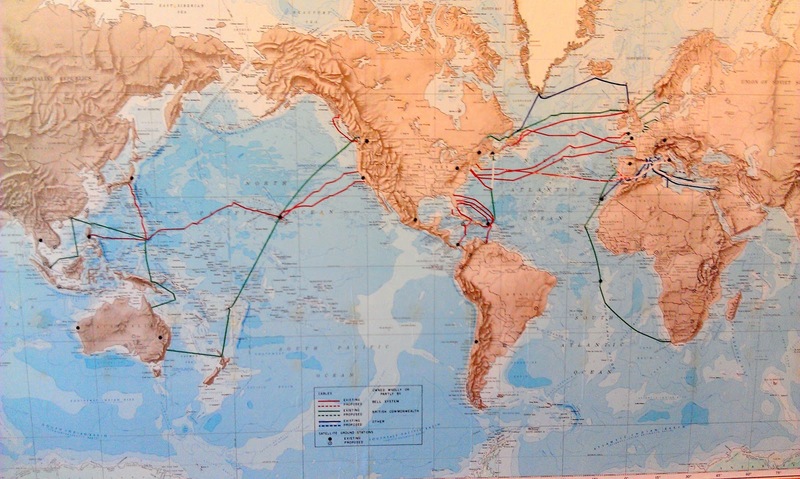 The lines on the oceans were undersea cables linking those landline networks.) These organizations were a feat of planning and implementation; rules and procedures assured standardization. So effective were these control platforms that, for much of the 20th century, many felt that network technologies required coordination by large monopolies. Some academics even claimed that they were “natural” monopolies. But by talking history, I don’t mean to imply that control platforms are no longer relevant. Fans of Apple and its products enjoy the benefits of seamless coordination every day. Apple detractors complain about how that company controls so much centrally. But these detractors also are likely to have problems getting music onto small devices. At work for Apple’s platform is the benefit of control. In technology platforms, all the different parts of the technology affect each other. Any change in one part runs a risk of hurting the workings of many other parts. (In fact, the number of possible problems created by changing something in a platform increase as a square of the number of parts!) For this reason, changes in a platform need to be well-controlled if you want the system to work perfectly. Of course, this could be done by groups of companies agreeing on standards and the like – as happens all the time. The point remains the same: However structured, coordination and control are needed for a platform to run smoothly. But a very different view is seen through the evolutionary lens. With an eye for change, the evolutionary lens shows us that some platforms act as dynamic systems – allowing the creation and death of innovations through a process that looks a lot like natural selection. Systems that encourage such loosely controlled evolution are dynamic platforms. Back in 2007, when Facebook changed to a platform strategy, they started by opening up the protocols that software developers would need to develop applications. The population of Facebook applications took off, growing fantastically. Many of these applications were ridiculous, and Facebook users at the time complained at the clutter that these apps caused. But some of these apps became extremely successful. Like any evolving system, a dynamic platform does best when it encourages variation and selection. Foolishness is the price of genius in these systems. And, for the platform company itself, the job is to make sure that innovations keep coming (and going) so that the platform keeps evolving. That requires that both the rate of birth – and the rate of death – for innovations (such as new apps) stay high. Linux, Wikipedia, and the Worldwide Web are all examples of such dynamic platforms. These platforms are not tightly controlled or well coordinated, but they grow and innovate. 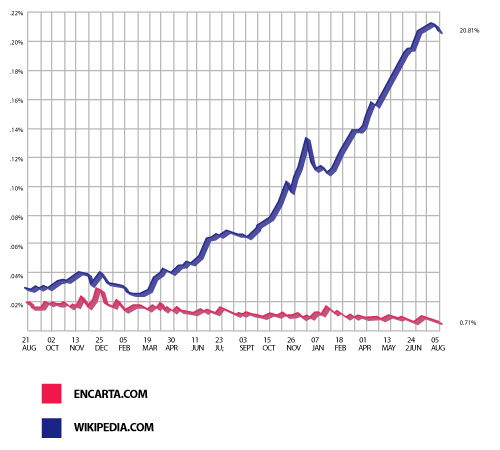 Compare Wikipedia to Encarta, a now defunct attempt to create a control platform for knowledge access. Wikipedia is poorly controlled, and is filled with contradictions. Encarta did not suffer these problems. But Wikipedia is a dynamic platform, and so it continues to grow and self-correct. In short, dynamic platforms harness “creative destruction”, and improve in ways that not even the designers of the platform might have expected. In practice, all platforms blend some control with some evolutionary dynamics. Linux does not just evolve willy nilly. For the central “kernel” of Linux to be changed, a complicated approval process is involved. And, at Facebook, a steady stream of changes to its platform have increased Facebook's control so much that many developers have moved away from that platform; some even have declared it "dead" -- by which they mean "too controlled." Looking again at Apple, while the company is known for being in control, it has triggered dynamics by encouraging independent application developers to flourish. Yet while most platforms blend some control with some evolutionary dynamics, the distinction remains important: To understand why platforms win, keep an eye on dynamics. The more dynamic the platform, the more coordination problems will arise. But over time the benefits of innovation will more than make up for these errors. Dynamic platforms trump control platforms. And those who lead these systems choose not to control. The leader's job is not to know the future, but to design the platform that will discover it. A review of the academic work on platforms can be found in this paper by Annabelle Gawer.